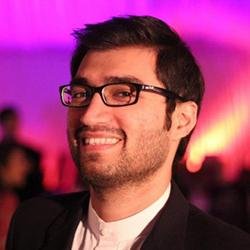 Shaheryar Popalzai is an ICFJ Knight Fellow based in Pakistan. His major focus has been newsroom innovation with multiple news organizations. Popalzai has worked with three major news organizations in the country to help them get started with 360° storytelling, resulting in a number of projects ranging from standalone videos to more in-depth 360° projects on different issues. He has also worked with the production and reporting teams of one of Pakistan’s biggest media groups on Facebook Live deployment and strategy. Popalzai has also been working with news organizations to help set up innovation teams. He has previously been associated with The Express Tribune and Geo TV Network.